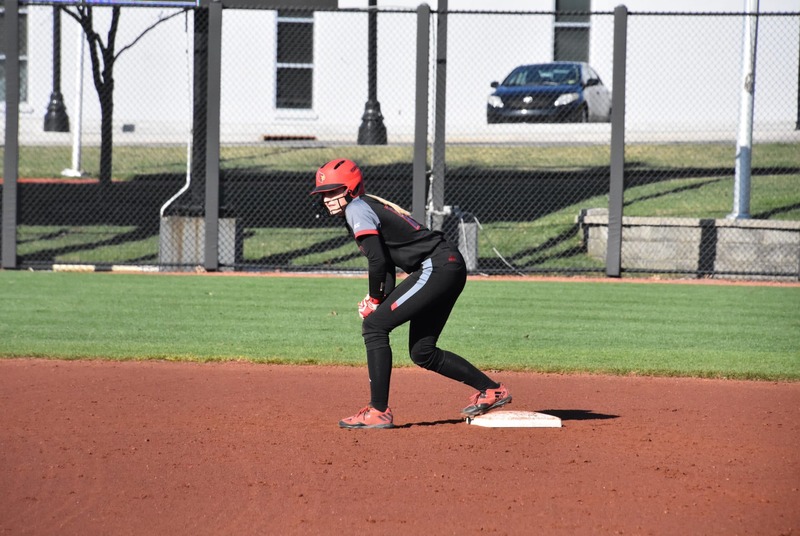 Softball has put together a solid start to its 2019 season. Louisville holds a 19-8 overall record under first-year head coach Holly Aprile with 12 wins out of its last 14 games. On top of that, the Cardinals topped Syracuse in their ACC opening series. The 2-1 split is a solid beginning to conference play, as U of L finished below .500 (10-12) in the ACC last season. That being said, Louisville has a long way to go until this season’s end. Picked to finish fifth in ACC preseason polls, the Cards play a total of 17 games against teams that qualified for the 2018 NCAA Tournament. This includes conference opponent and defending national champion Florida State. Here are some observations on the first half of Louisville’s season, including insights on how the Cardinals can continue playing well and improving. Overall, the Cards combine for a .296 average at the plate and 1.71 ERA on the mound. Both numbers speak to the all-around talent of this team. Megan Hensley exemplifies Louisville’s versatility. The senior is batting .314 with 20 RBIs, alongside leading the pitching staff with a 7-1 record and 1.38 ERA. Fellow senior Sidney Melton powers the lineup with speed and her .318 batting average. She leads the team with 13 stolen bases, recently setting a school record with four steals in a game. Three more players are batting over .300 in the starting lineup: Freshman Rebecca Chung at .393, junior Celene Funke at .383 and freshman Taylor Roby at .360. Funke leads the ACC with eight triples and tops the team with 26 runs scored. Roby, with a 6-1 record on the mound, joins Hensley on a pitching staff ranked second in the ACC with its team ERA. Sophomore Danielle Watson, who struggled early in the season but has since found a stride, holds a 6-6 record with a team-high 80 strikeouts. With a majority of its 20-player roster as underclassmen, Louisville needed the younger side of its team to contribute in 2019. So far, they have certainly done that. Most notable are Chung and Roby, who have worked their way into key roles as first-year players. Catcher Chung leads the Cardinals with her batting average, .486 on-base percentage, 22 RBIs and three home runs. She’s also currently on a nine-game hitting streak. Roby, hitting well with a .458 on-base percentage, leads the pitching staff with two saves. Also contributing are freshman Charley Butler, with 22 starts and two home runs, and freshman Cassady Greenwood, with 14 appearances and a .313 batting average. Maddy Newman and Kyra Snyder are standout sophomores in the starting lineup. Fellow sophomore Riley Schindler has started 16 games in right field. In terms of improvement, Louisville could work on its performance in the field. The Cards total 33 errors across 27 games this season. Errors happen from time to time, but keeping the number low is often crucial for victory. Across Louisville’s eight losses, the team averaged two errors per game. By comparison, Louisville averaged a far better .8 errors per game across its 19 victories. The Cardinals continue conference play with a three-game series at Notre Dame Mar. 22-24.